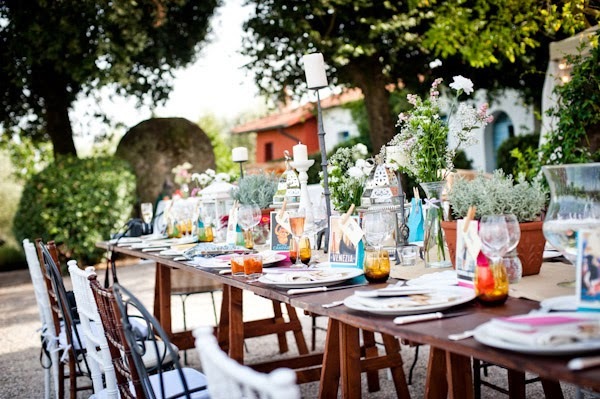 Wedding in Tuscany... Why not? Every where you turn the wealth of history and amazing art is everywhere in Tuscany. From a simple statue carved into an old building to the works present in Florence's Uffizi museum, there is certainly much to appreciate. Although the majority of art is spread in some of the larger towns like Florence, Siena, Arezzo and Pisa there is certainly much art and history in some of the smaller medieval towns like San Gimignano, Volterra and Pienza. I can't possibly forget the delicious local produce and the artisans. What makes Tuscany unique is each small town has their own culinary specialties or offers an interesting local product. From the various percorino cheese, cured meats, olive oils, truffles, porcini mushrooms... etc etc the local products will not disappoint your taste buds! Not to mention the various products produced by local artisans... ceramics, articles made with olive wood, watercolours etc. there are plenty of things to choose from for authentic guest gifts or wedding favours. Can't forget Tuscan charm! If there is one thing you can not replicate are all the small details that make Tuscany so unbelievably special. The ruins of an abandoned church in the countryside, ivy growing on a door, the simplicity of a few wrought iron chairs... this is true Tuscany! We can't forget that Tuscany has a beautiful seaside. 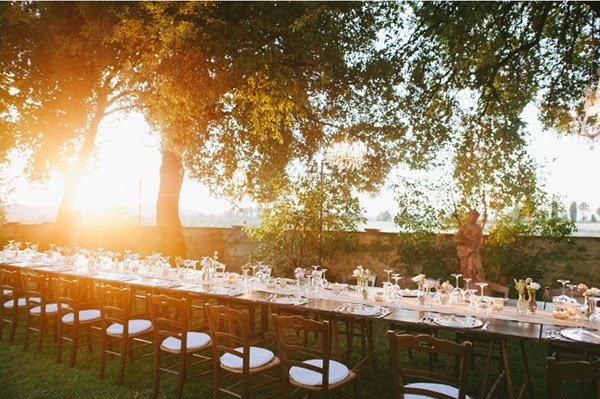 From the long sandy beaches and pine forests along the coast of Versilia to the natural beauty of the coast of Maremma the Tuscan seaside does not disappoint and can be a stunning backdrop for a dream Tuscan wedding. 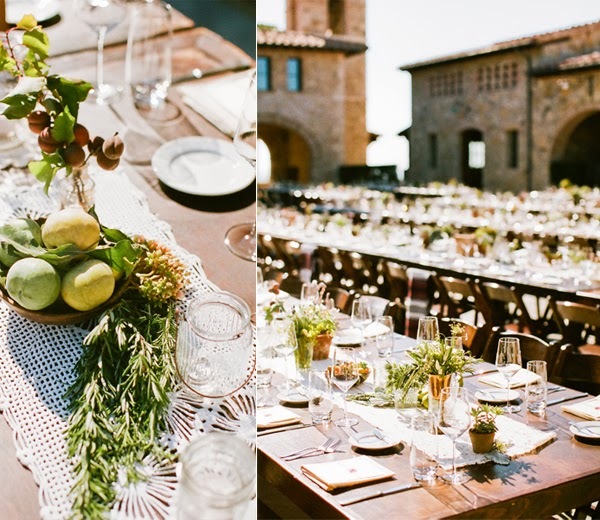 Here is where you can really start dreaming as the Tuscan possibilities are endless. A majestic Villa, a medieval castle in Chianti to a rustic Tuscan farmhouse... the location options are plentiful and can be chosen to meet all budget ranges. 7. FoodI love food so it is no surprise that food made my number 1 spot... although the last 5 on my list are all debatable. 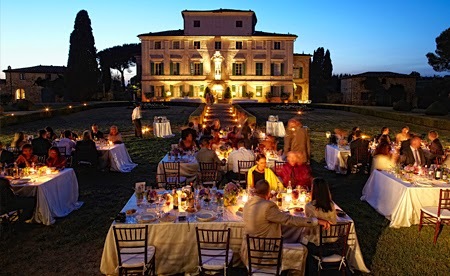 One of the best reasons to have a destination wedding in Tuscany is the amazing food (and wine). 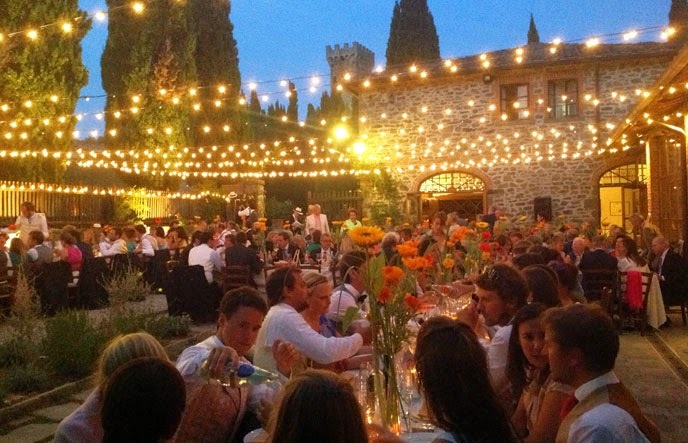 I can assure you that an italian wedding reception is unlike any you have had anywhere else. The quality of the food, the seasonal menu choices, and the variety and abundance leaves no wedding guest unsatisfied.